Despite many advances in vehicle performance and engineering, the way drivers interact with their cars has remained fundamentally the same since the Ford Model T. Now, companies are using mobile technology to make everything from car rental to ridesharing to hiring a taxi more convenient and efficient. 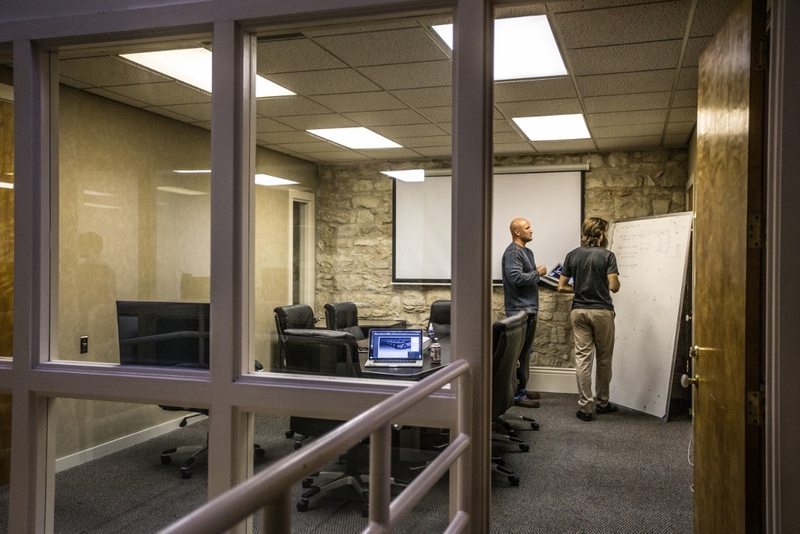 One such company is the Austin startup Silvercar, which combines automotive and mobile computing technologies to shakeup an old industry known for poor customer experience: airport car rental. It works like this: airport travelers in need of a rental car use a smartphone app to reserve a vehicle at an airport in advance. When they arrive at the airport, they can unlock any vehicle on the company’s lot by scanning a QR code. Then they just drive away without ever having to stand in a line or even talk to a service representative. When customers return the car, they simply park it and head to their terminal. Always a silver, Wi-Fi’d Audi A4. 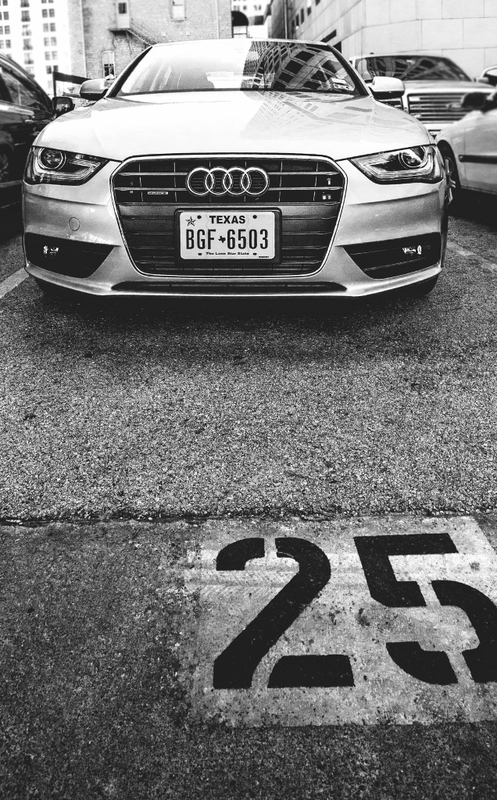 The rental car itself is always a silver, Bluetooth-enabled Audi A4. The idea is that customers always know what they are going to get and don’t have to worry about being stuck with a minivan or pitched an upgrade package. Silvercar CEO Luke Schenider said the A4 was chosen because it is technology-enabled and is an elegant and fun car that is neither too flashy nor too muscular. For Schneider, Silvercar is the perfect marriage of automotive and mobile technologies. It results in a streamlined and more convenient experience for the customer and is part of a badly needed, technologically-advanced step forward for the moribund transportation industry. Several other companies are taking that ethos to heart. Uber, for example, built a smartphone app that lets users summon independent limousine drivers. 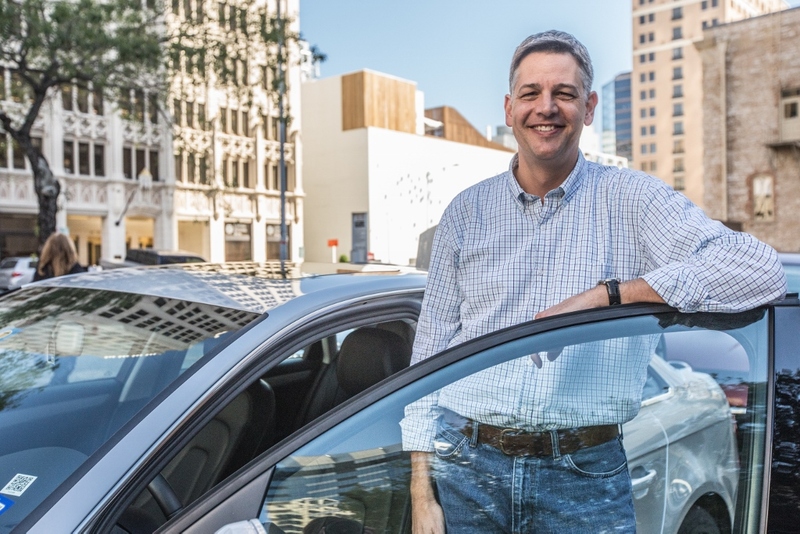 Zipcar provides a pool of vehicles that users can take for single rides or a full day, and businesses like Lyft and Sidecar let users turn their own private vehicles into taxis, receiving their pay in tips and sharing a percentage with the companies. “Despite their success and popularity, some of these companies are finding themselves in legal trouble.”. Taxi and livery companies in several of Uber’s markets are pressing city or state governments to subject Uber to the same regulations and licensing laws that they face. Meanwhile, Lyft and Sidecar are facing charges in several cities that they constitute an illegal taxi service. Silvercar is running into some opposition of its own, though not from government. The resistance comes from the big three car rental companies that dominate the market: Hertz, Enterprise, and Avis. It has been tough for Silvercar to find coveted slots in airport car rental bays (known as ConRACs, or consolidated rental car facilities) where the big three are locking down the available real estate. “It’s a challenge getting in,” Schneider admitted. Getting into more airports will be a tough but critical fight for the company. They began in a single market, DFW in Dallas, in January, 2013. The company has since expanded to serve Austin-Bergstrom International Airport, Houston Hobby, Love Field in Dallas, San Francisco International Airport, and most recently LAX in Los Angeles. 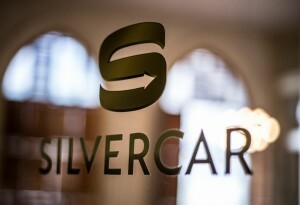 However, Silvercar is not exactly looking to dominate the market they compete in. Schneider said a five percent share will be enough, and the company is only going after a small subset of travelers. “Our customer is tech enabled and wants consistency and a premium experience,” Schneider said. At $75 per day, Silvercar is about $30 to $40 more expensive than its competitors but Schneider said the far greater convenience and guaranteed luxury vehicle make it worth it for the company’s customers. Given the reaction of customers so far, he may be right. The majority of customers on Yelp report a flawless and enjoyable experience. There were some problems during the company’s initial rollout, however, including cars that failed to unlock when scanned. Schneider said these issues have been resolved. Whiteboarding at the Silvercar offices. It is just this technology that allows Silvercar to provide its customers with a superior experience in the rental car market, Schneider said. He cited a survey by Skift, a travel industry intelligence company, finding that 12 percent of Americans have booked travel entirely using a mobile device . Among Silvercar customers, he said, the rates are much higher, with 60 percent of users relying entirely on a mobile device. Eighty percent of returning customers do the same. Mobile technology is so versatile that Silvercar can keep a relatively small technical support staff. None of the technologies Silvercar uses are new, Schneider said. The company just had to knit them together in a way that worked for its business model. “Mobile makes it easier to do it,” he said. He added that the technology can create significant social benefits. A 2011 study by the University of California’s “Access” magazine, for example, found that anywhere from nine to 13 cars are removed from the road for every shared car available. In 2009, the District of Columbia contracted with the Zipcar offshoot FastFleet (Schneider worked at Zipcar and FastFleet before coming to Silvercar) to reduce its motor pool of municipal cars. FastFleet implemented an efficient car sharing plan among employees who relied on the cars, which allowed the District to retire 312 of its 360 cars and save taxpayers $6 million over 5 years. Silvercar’s niche lies in improving the customer experience in an industry known for poor customer service.